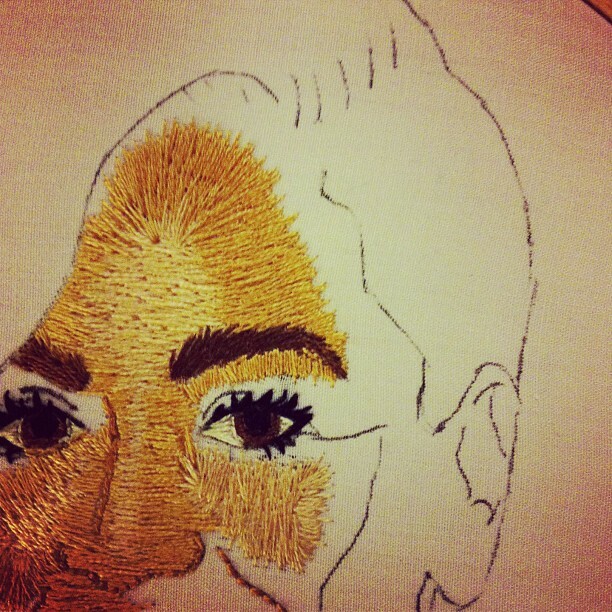 Current project: long and short stitch Beyonce portrait. I knew I needed some big pieces for my portfolio and I decided that Queen Bey was certainly worthy of the hours and hours this is taking/will take me. Cropped like this because her mouth is way creepy at the moment! Whoops, need to do those teeth, drew them on way too small. Not looking forward to the ear either. Ears: I don't get them!